Coming Up - BOOK LAUNCH!! Hope you are all in good shape and enjoying the last day of the summer vacation. As a good bye gesture to the wonderful summer VAANI has organised a book launch for our own member Manju Chaudhuri. Our heartiest CONGRATULATIONS to Manju on her fantastic achievement!! To buy your copy online please CLICK HERE. Please visit any time between 2:30 pm - 7:30 pm to meet and get your personal signed copy of inspirational book based on the author's own life. Author interview by Smita Singh at 5:00pm and at 6:45pm followed by Question and Answer session. Audience welcome to participate. 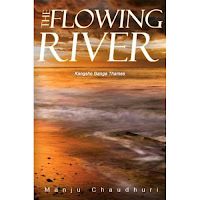 Manju Chaudhuri has written a heart warming saga of a life full of struggle entwined with the dream to give back something valuable to the world. Please visit again to read an Exclusive interview with the author and a book review.